Master all Aspects of the Staff. At Home. 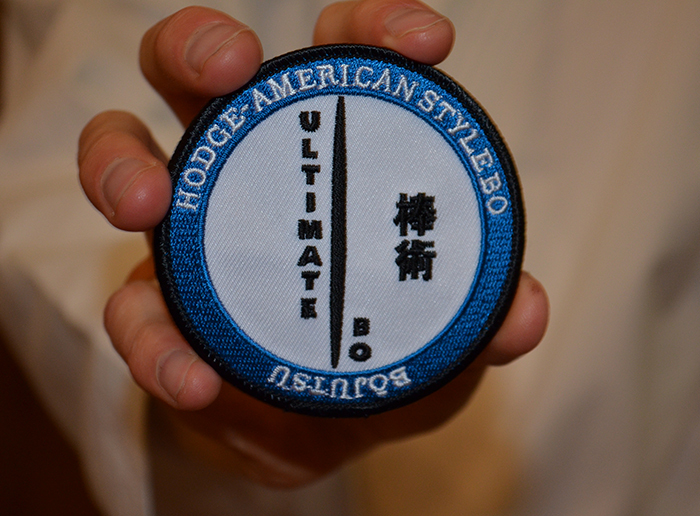 Ultimate Bo, also known as American Bōjutsu, is the world’s first complete white to black belt officially recognized bo training style. Since its original launch in 2007, thousands of students have trained through the home study course, making it a global phenomenon. 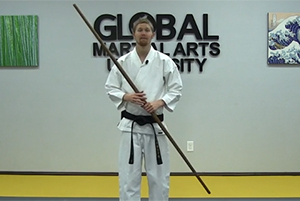 This is your chance to master this ancient, practical weapon, while getting into amazing shape and earning real rank. 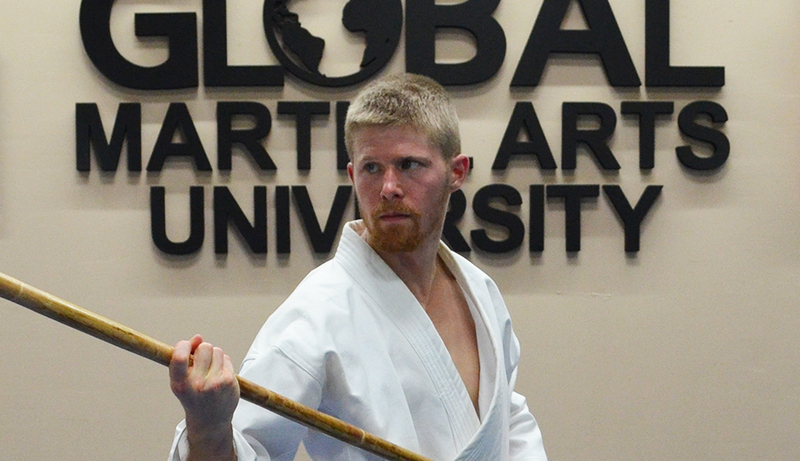 Rooted in Okinawa, you will learn a wide range of realistic strikes, blocks, stances, katas, and fighting skills. Bo training is for all ages. The workouts and classes will give you a great total body workout, while strengthening your upper body. 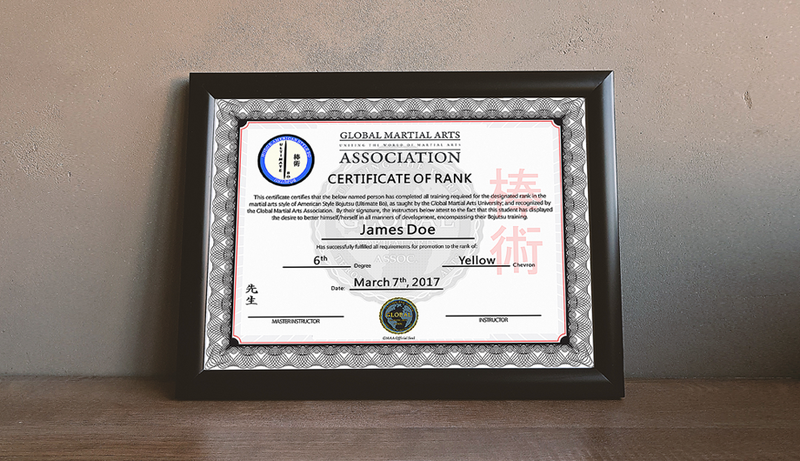 You will be able to earn real rank, up to black belt level and higher, through this complete course of study. Ultimate Bo uses a unique ranking system - the chevron patch. Students will place the official Ultimate Bo patch on the left sleeve of their uniform, and then each patch that is earned is placed in a descending fashion down the arm. This allows students who hold a rank in a traditional martial arts (such as Karate) to also wear their belt at the same time. Ultimate Chuks students can display their rank in the same way, but on the right arm. A chevron patch holds the same weight/equivalency as a belt - it is simply a different way to visually display your standing in the style. You will also have an official certificate of rank mailed to you upon passing an exam. 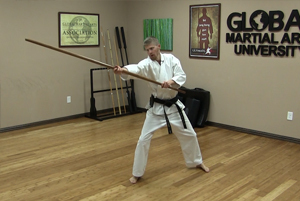 You will learn about the style, how to use the course, how to choose the right bo, basic grips, and your basic stances. 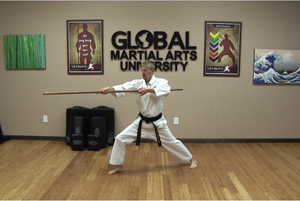 Stances, Strikes, Blocks, and Combinations using the staff. 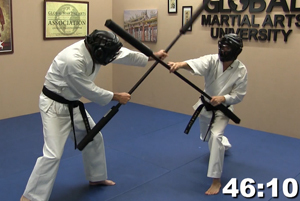 Traditional, Okinawan based techniques that are the cornerstone of Bōjutsu. 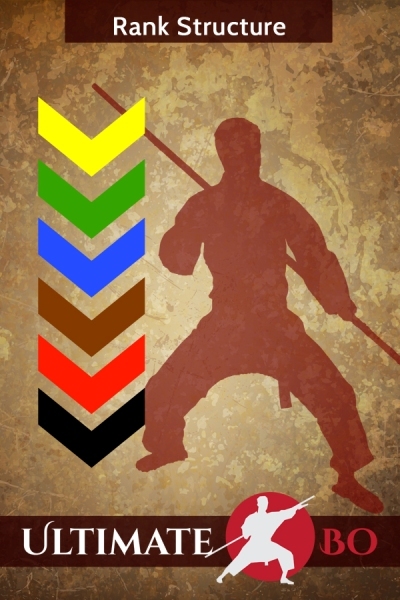 At each belt level, you will learn an entire traditional kata. These kata are formulated so that you can practice with realistic intent. 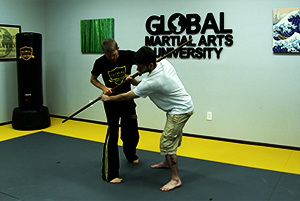 You will also learn combat bo, which is how to fight with your staff in a self defense or sparring situation. 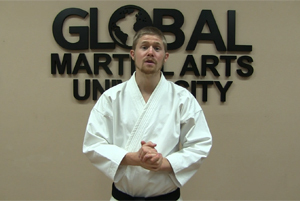 Footwork, movement, combat strikes, blocks, and combinations. Each level includes full, 30 minute follow-along classes. This is just like attending a live Ultimate Bo class with Sensei Michael. These include a warm up, drills, and much more. 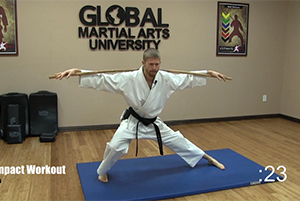 Many techniques conclude with a home practice drill, with which you can follow along and get extra repetitions along with Sensei Michael. Most are designed for solo practice. 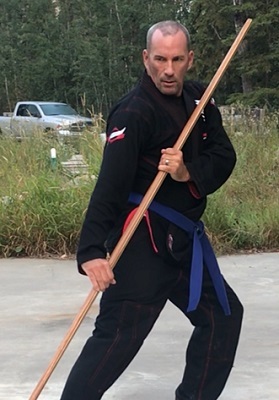 In this first class, you will get introduced to traditional basics (holding the staff), the front stance, overhead front strike, horse stance, overhead rib strike, long front stance, front thrust, a combination drill, and a cool down. 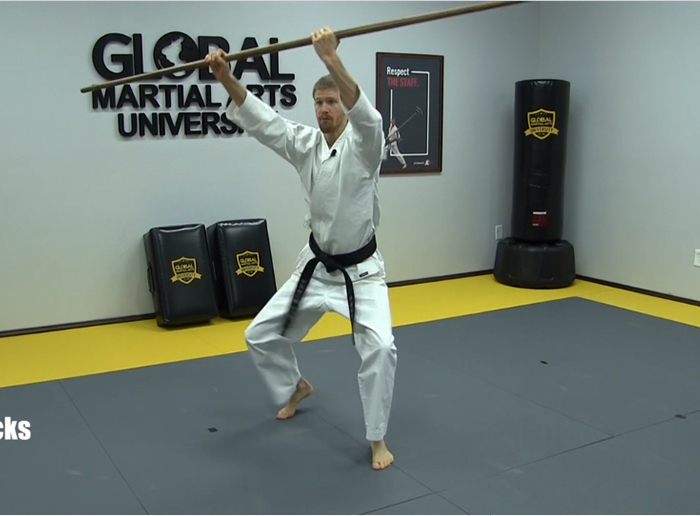 Grab your staff, wooden dowel, or broom stick and you can train! 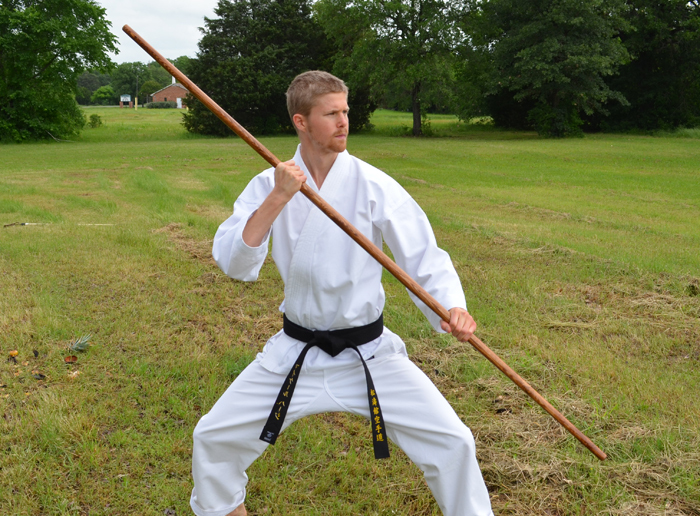 Your teacher is Sensei Michael Hodge, the founder of Ultimate Bo and 3rd dan black belt in Shotokan. With a GMAU Ultimate Bo membership, you will get access to new techniques, classes, workouts, and training that are added on a monthly basis. 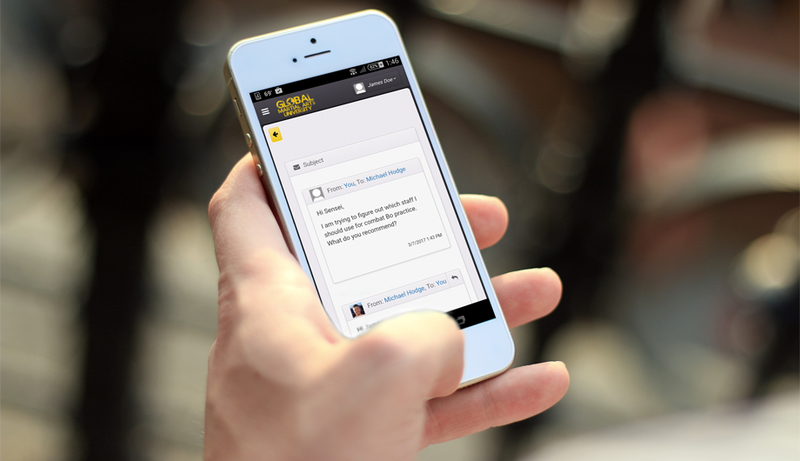 With a GMAU Ultimate Bo membership, you can message your instructor and get feedback anytime. "My story, 50 years old French Canadian, arthritis in the neck, ex smoker, and gaining weight, time to get in shape! But work a lots and living out of town! Always wanted to learn Bojutsu, start to look around , lol! No way I could find a full Bojutsu training in Canada. 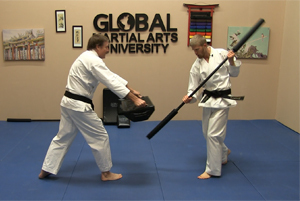 I Start to look online, just curious, and I find GMAU Bojutsu with Sensei Hodge! I’m pretty skeptical about training online. I still give it a try. At my surprise, I was really amazed by the material of this online course, lessons, classes, assignment, testing, quality of teaching, exchanges with others student, discussion board. I was really surprise when I did my first video testing, and Sensei hodge reply to me by video! And you can tell, this course is not only about money, Sensei Hodge really care about his student , we are not just a number! I took a chance with this course, and I got no regret, I’m so happy and dedicated to the end! Black belt! I’m coming!" 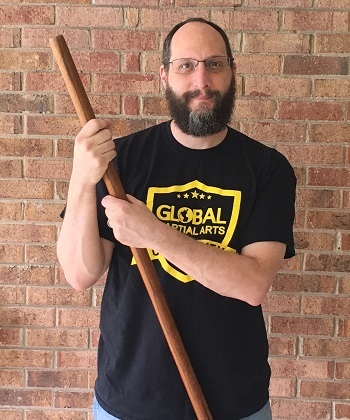 "My path of self improvement with GMAU started in October of 2017 by studying bojutsu. I did a lot of internet research to find a martial arts program in my area that would fit into my work and life schedule. 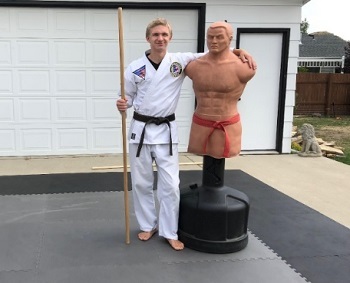 I finally discovered that going to a dojo at their posted times was just not an option, but I wanted some kind of program that improved my physical well being, mental discipline and had an enjoyable martial element to it. Sensei Michael and Sensei Jon are very encouraging in not only their lessons but also in their feedback. The feedback they have provided from my chevron and belt testing efforts have always been helpful and relevant. I believe GMAU holds their students to a high degree of skill and proficiency in attaining rank." 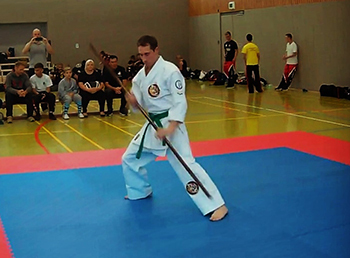 "​Hi, my name is Gavin, I am from Germany, 44 and I practice Wing Tjun over 2 years together with my wife Anja. whirl around with the stick. reached my limits of deeper understanding and had not really progressed here. On the one hand I was motivated and at the same time completely overwhelmed by the mix of different styles, techniques and simple tricks of the well known toothpick-specialists. warm-up technical part and cooldown. I had really absorbed this video. longer period of time without losing interest in it after a short time. distance and keeping students in the mood requires great effort and thoughtful approach. community does not leave a student in the lurch and is always backwind to keep up the motivation. graduations at Ultimate Bo to elaborate in more detail until these are finally in flesh and blood. my honor and respect in my own way as I do this also to my Master in Wing Tjun. I know this is a lengthy review, but there are just so many good things to say about GMAU and their Ultimate Bo program." Can I become a certified Ultimate Bo Instructor? Yes! 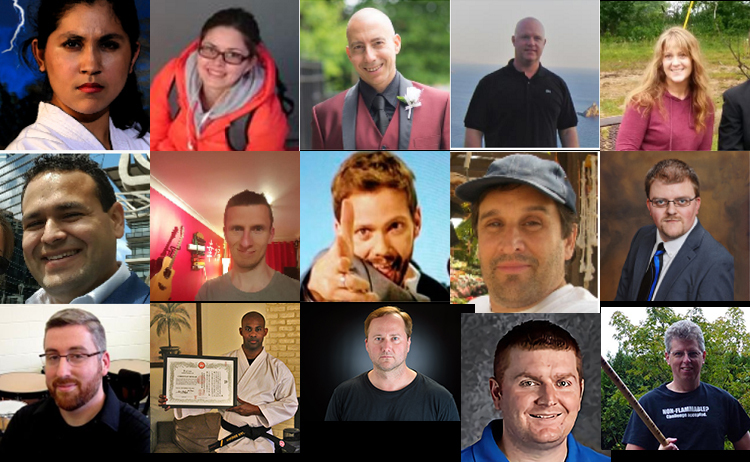 We have a 100% Online Ultimate Bo Instructor Certification program. This will prepare you to be able to run your own bo classes at a high level. Do I need a partner to train in Ultimate Bo? A large majority of the training can be practiced solo. It is clearly beneficial to have a dedicated training partner when available, for working on the combat and sparring bo techniques. We still find students who train solo are able to reach a high level of efficacy. 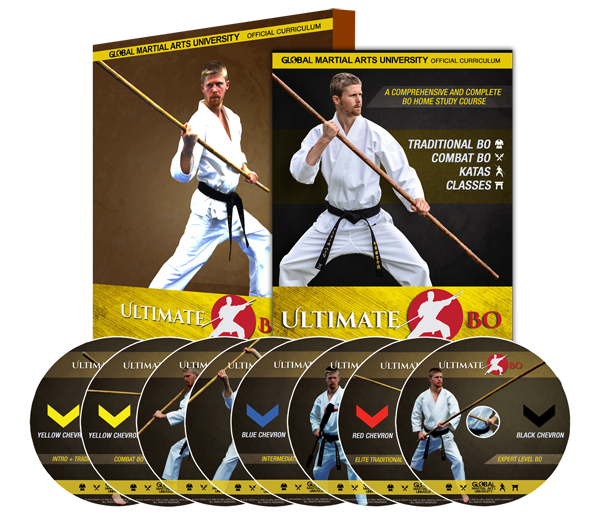 The training course we offer on this page (Ultimate Bo Home Study Course) is a buy-once-and-own-for-life, whether it be the DVD edition or streaming/downloadable edition. These are great for training purposes. If you want to be an official student, and get access to the entire training course + more material, choose a GMAU Full Student membership. 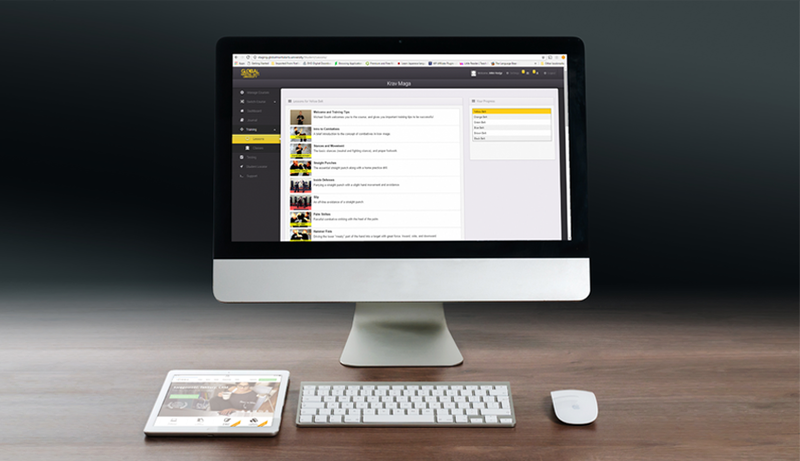 If you just buy the DVDs or one-time purchase course, you could always add on a Basic of Full Student membership at any point in the future.